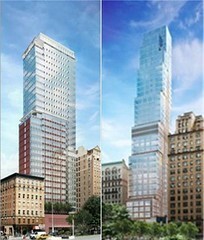 Sales will begin this summer for The Harrison a new luxury condominium in the heart of The Upper West side. The two twin tower complex will offer studios, 1,2 & 3 bedrooms starting around $700,000. An Equinox Gym is in the building and membership is included in the common charges.